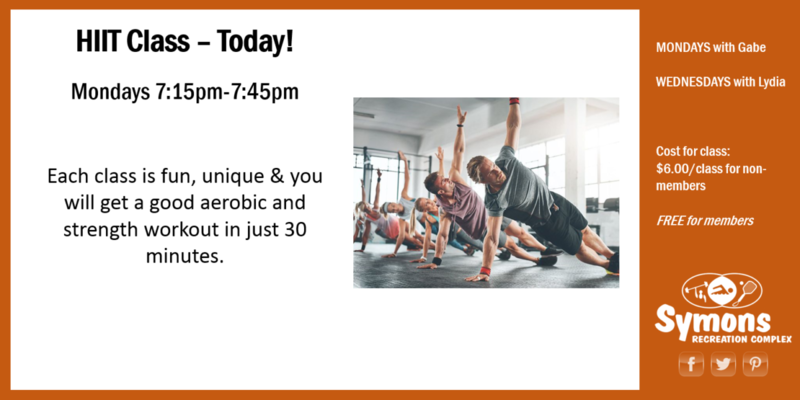 News / HIIT Class – Today! Join us on our new day MONDAYS. ONLY have 30 minutes and want a workout that counts? Try HIIT! Advanced, Intermediate, Beginner – it doesn’t matter! There are varieties of moves so anyone can try the class. You don’t need to sign up in advance, just come to class on Mondays or Wednesdays at 7:15pm.